Great gauge for checking all the required dimensions for not only magazines for IPSCand USPSA ( very smart in the method of selecting the different regulation on magazine length). but also can be used for equipment check re distance from your body. Great addition of the slot for Classic division checking of the magwell dimension - on addition, if possible would be adding of a guage or portion of the existing guage the length of the dust cover from the slide stop pin as per the IPSC rules. Again, a excellent piece of equipment I have used it to check my magazines for the World Shoot. Very good product but, in Vienna last April i 6th SCW Cup, an IROA had another gauge issued by IPSC (the same one used in 2013 EHC Portugal) and had an argument with a shooter in our squad about a long magazine which with DAA's product was ok but not with his. You should have a look at this. The range master at the end cleared the shooter but the issue remains. Both IPSC and USPSA require you to measure the length of long magazines in the Open division. However, IPSC uses 170.0 mm as their required length restriction, while USPSA’s rules allow a length of 171.25 mm. This gauge does both! An adaptor insert block enables you to change the length of the gauge from IPSC to USPSA in seconds. 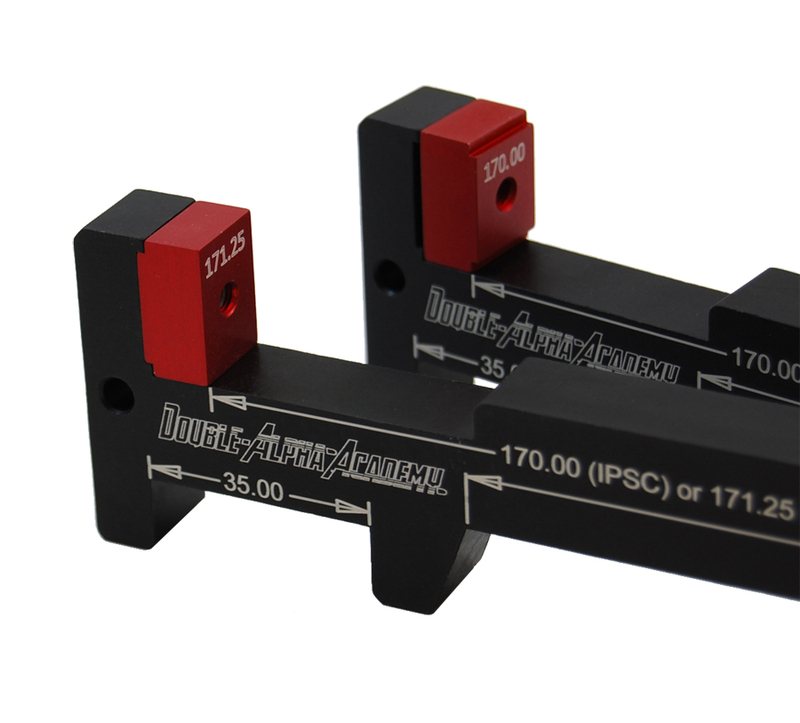 In addition, the gauge includes a 140 mm mag gauge (measuring 141.25 mm as required by USPSA), a 35.0 mm gauge to control the width of the magwells used in the classic division, and a 50.00 mm gauge to measure the distance between a competitor’s gear and torso. Constructed from top quality aluminum and machined to the tightest tolerances, the DAA Magazine Gauge offers you a lifetime of service, on either side of the Atlantic.